In anticipation to the 70th birthday of the twelvetone composer Graham Newcater in 2011, DOMUS is organising performances in honour of the composer. During this occasion Newcater will also visit Stellenbosch. Although a number of Newcater's manuscripts are already housed in DOMUS, the aim is to expand this collection to a representative portion of the composer's output. 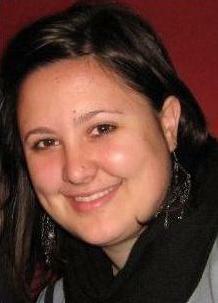 Olga Leonard studied BMus (Performing Arts) at the University of Pretoria under the tutelage of Prof. Joseph Stanford. She continued her MMus (Performing Arts) at the University of Pretoria where she also presented a mini thesis on the String Quartet of Graham Newcater. From a young age Olga has participated in the Sanlam Music Competition for Primary School Learners. She also received a first prize at the Junior Secondary School division of the Musicon Competition in Bloemfontein and was a Beeld Eisteddfod award winner in 2001, 2002 and 2003. She is the recipient of various bursaries, including the FAK bursary (2000) and an academic achievement and leadership award from the University of Pretoria. In 2005 she passed the UNISA Grade 8 examination with merit and took part in the UNISA South African Music Bursary in Bloemfontein. In 2006 she completed the UNISA Teachers Licentiate in music with merit. Olga also received master classes from Joseph Banowetz (USA), Adam Wodnicki (Poland – USA) and Jan Kadlubiski (Poland). She also completed the UNISA Performers Licentiate and was chosen for the UNISA Overseas Music Bursary Competition. Since January 2009 Olga has lived in Cape Town. She is the head of the music department of the Wynberg Girls School.